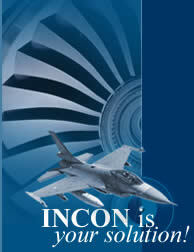 Incon provides sophisticated, high reliability, interconnection systems for use by the computer, telecommunications, military, and aerospace industries. Incon significantly expanded its MIL-C-55302 product offerings with the acquisition of Texas Instruments' F-Series connector line. We have the necessary technology in our facility to provide maximum control in our manufacturing process. This level of control is applied to the manufacture of all of our products. Our quality system, conforming to AS 9100, and the application of statistical process controls at key points, ensure that our products meet or exceed customer's specifications and requirements. We offer a product warranty on the quality of our products.